Heavy SPOILERS from Thor: Ragnarok follow. Please do not proceed until you’ve seen this awesome movie. Like in the original #Thor movie, Thor doesn’t have his trusty Mjolnir the majority of the time. His father Odin casts him out of Asgard and forces his son to prove himself worth of wielding the hammer. Thankfully, Thor does just this and gains his rightful weapon back at the end of the movie after proving himself selfless. In Thor: Ragnarok, a different event happens. Instead of getting the hammer completely taken away from him, it’s destroyed by the Goddess of Death. 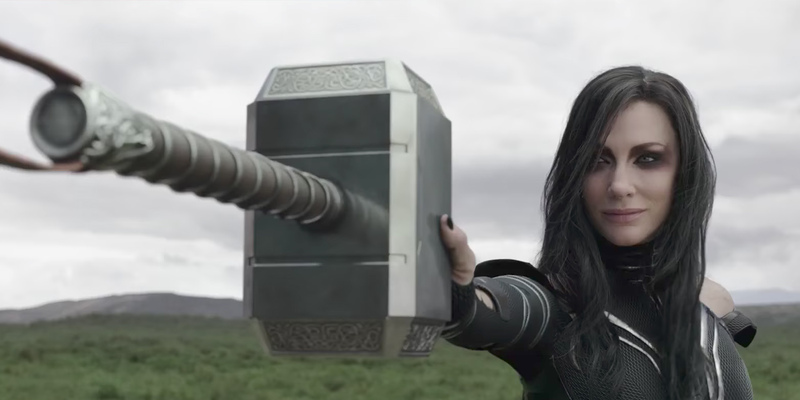 Hela crushes it like glass as his brother Loki mentions to him. Thor is once again forced to continuing on his journey without Mjolnir only this time it wasn’t out of his selfish ambition. Peter had to quickly learn that it wasn’t the suit that kept him from being Spider-Man. He was always Spider-Man and had to prove that to himself for the rest of the movie. Peter was able to get himself out of the rubble all by himself was able to take down the Vulture at the conclusion of the film. 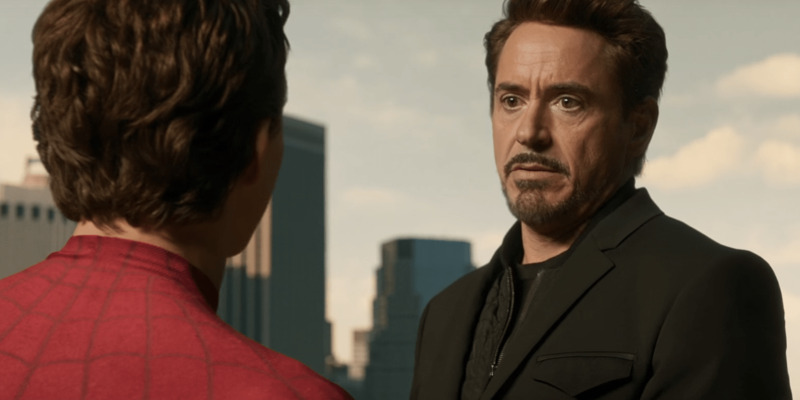 This all happened without Stark’s help and with that, Stark gives Peter his suit back knowing that he deserves it. Unlike Peter Parker who has his suit taken away from him, Thor has tougher mountains to climb. We already know Thor’s hammer has been destroyed up until this point, but he also loses someone who he’s looked up to his entire life: his father Odin. Odin had been missing for quite some time thanks to Loki’s shenanigans. Loki had placed Odin under a spell and sent him to live in a nursing home in New York City while Loki posed as his father while ruling Asgard. Losing his hammer was difficult enough to overcome, but losing his father also meant freeing Hela from the prison she was sentenced to by Odin. Thor also loses some of the best friends he grew up with; the Warriors Three. Hela disposes of them rather quickly much like Palpatine did with the Jedi who were there to arrest him in Revenge of the Sith. Not only does Thor have his hair cut off by a crazy old man, but Hela also removes one of Thor’s eyes after a heated battle between the two gods. Resembling closer to his father’s appearance, Thor now has to cope with having only one eye. However the moment he loses an eye, becomes one of the best scenes in the entire movie. Realizing that he is indeed powerful without Mjolnir, Thor is able to subdue himself from Hela as he casts a destructive bolt of lightning right into her. This allows Thor to escape as he mercilessly takes out most of the resurrected warriors on the Bifrost bridge. So let’s quickly recap here: Thor loses his hammer, his father, the Warriors Three, his hair, and an eye yet still somehow manages to overcome all of this and prove to himself that his is the God of Thunder. Oh and let’s not forget all of the men that Hela killed herself and the total destruction of Asgard created by a demon named Surtur. Thor also had to come to his senses that “Asgard is a people, not a place.” While the city is beautiful and rich with just about everything, it isn’t the place itself that makes it special but rather the people. This is exactly the analogy that Thor needed to teach himself and it helped him grow even stronger as the God of Thunder. So what did you think of these comparisons? Do you believe this movie borrowed some elements from Spider-Man: Homecoming? Please share your thoughts in the comment section below! Thor: Ragnarok is playing in theaters everywhere! Nice post, I guess it did borrow some elements from Spiderman Homecoming although I do believe certain themes in the story could’ve been handled better. I agree. I think disposing of the Warriors Three that quickly was disappointing. After all, they were Thor’s best friends growing up and the film had Thor almost not caring about that event whether he knew of it or not. Yes, I believe it weakened the theme of it’s people that matter and not the place. I also kind of wish Thor had attempted to call his hammer more since that would have showed his loss of it. Exactly but now he’s going to have to get used to being without a hammer. But the best part of that is, he doesn’t really need it anymore. He’s powerful without it.